Strong second half performance by Selby too little too late. A sterling second half effort from a depleted Selby side saw them fight back strongly from 27-0 down at one point, but it was too little too late to overcome a very poor first half performance and they left Teesside with nothing to show for their endeavours. With a much changed side Selby played with the strong breeze and immediately showed their inexperience, as instead of clearing good ball deep from their own 22, they ran it, lost it, and conceded a soft first try to set the template for the half. With Selby struggling to hold onto any sort of possession, as errors and penalties racked up against them, Middlesbrough were quickly in again as the Swans were given yet another lesson in how to retain possession and wait for the gaps to appear. Finally, a couple of excellent touch finders from Harry Cruise gave Selby their chance and the forwards drove over but were unfortunately unable to ground the ball. Selby’s much changed and inexperienced back line also had a good go but it was understandably all a bit clunky in midfield and, with the home defence paying particular attention to Selby’s only real threat Liam Hogan, the Swans remained pointless. In contrast Middlesbrough competently worked their way back up field and, with Selby getting caught out time and again as Middlesbrough took quick tap penalties; they took advantage of the Swans inability to get back into an organised defensive line to put the game to rest with another two tries for a 20-0 half time lead. When Middlesbrough scored under the sticks shortly after half time for a 27-0 lead, and with Selby now playing into the strong breeze, things were looking ominous. However, the half time introduction from long-term injury of Adam Leetham and Ashley Parkinson in the forwards, together with Iain Adamson in the backs, added a bit more experience from the subs bench and Selby then started to get their act together. With the line out, and particularly scrummage, now going very well the Swans drove up to the Middlesbrough line and over for Charlie Cicero to grab a deserved touchdown. Back came Middlesbrough though for their final score as, yet again, Selby stood around like a herd of confused wheelie bins while Middlesbrough took another quick tap penalty to send their winger in for a good try for 34-5. Credit to Selby though as heads did not drop and they spent the last quarter dominating possession and scoring two cracking tries of their own. Firstly, Hogan powered over between the sticks after more strong forward play, and then Charlie Cicero was, as ever, on hand to finish off a fine Matt Leetham break up the left wing for a final score of 34-19. 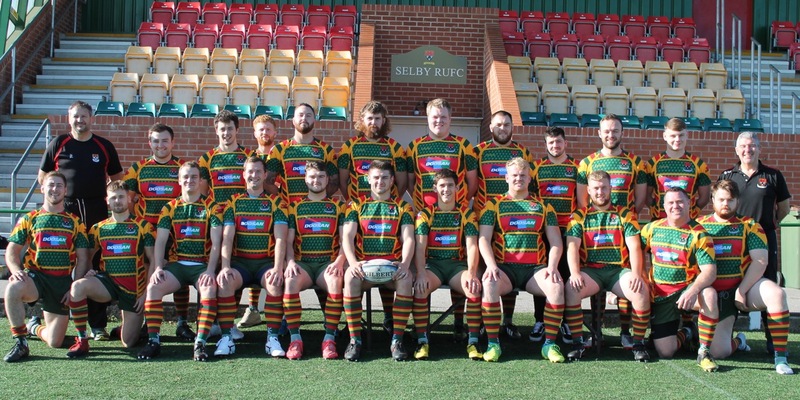 Selby travel to the North East again on Saturday to take on bottom club Guisborough in a critical match and they will hope to carry forward their second half performance rather than their first.